Beverly Rivkind is an award-winning interior designer who has been creating beautiful residential spaces in the greater Boston area, New England, and New York for over 25 years. Her many loyal clients seek her out again and again as their needs and homes change. 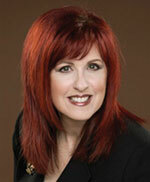 For several years, Beverly has been chosen one of the Top 10 Architects & Designers by "Women's Business Boston". Her work has been featured in publications such as "House Beautiful", "Better Homes and Gardens", "The Boston Globe", and "South Shore Living". With a Bachelor of Fine Arts degree from Boston University, and studies at the Art Students League in N.Y., she brings her many years of training in art history and color and design to her work as an interior designer. She is a member of IFDA and an Allied Member of ASID. Beverly's collaborative approach to working with her clients helps them to discover and articulate their own individual design style. Whether designing a brand-new home, updating an existing one, or helping a client downsize, Beverly makes the process easy and rewarding. Excellence in service, uncluttered elegant designs, attention to detail and open communication with her clients are the trademarks for which she is known. The result is comfortable, livable rooms that reflect the personalities and style of her clients. Connect with Beverly on Linkedin and follow her on Twitter.